There are currently 58 players left in the 2008 L.A. Poker Classic Main Event, down from a starting field of 665 players. The remaining players are vying for a first place prize of just under $1.6 million dollars. All remaining 58 players are guaranteed at least $22,020, as the money bubble burst near the end of Day 3. 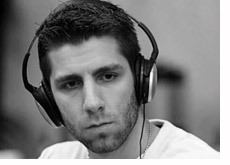 As mentioned, Kyle Burnside is your chipleader after Day 3 with a stack of just over 780k. He made a late day run to take over the chiplead from Phil Ivey. Ivey finished the day in second place in chips, with a healthy stack of 656k. Ivey looks to have the eye of the Tiger in this event, and I certainly wouldn't bet against him at this point. Jennifer Tilly is surprisingly still in the tournament. She has a healthy stack herself, finishing day 3 with around $570k in total chips. Your Day 2 chipleader, Daniel Fuhs, finished the day with around 440k in chips, good for around 10th place. Humberto Brenes, Mark Seif, Antonio Esfandiari, Haralabos Voulgaris, Kenna James, Jerry Buss and Robert Mizrachi. Can Phil Hellmuth Jr. finally win his first WPT event? Can Phil Ivey win his first WPT title after making the final table an amazing seven times? Play will resume on Tuesday afternoon, and I believe that they will be playing down to 27 players.